Entrepreneur & CEO. Josh was the founder and CEO of five successful technology companies over the last 26 years. 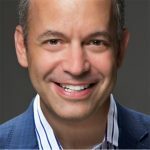 Josh is Founder and former CEO of ePrize, the world’s largest interactive promotion agency that provides digital marketing services for 74 of the top 100 brands. Each of his five startups enjoyed successful exits with a combined value of over $200 million. 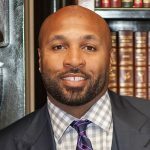 He’s been involved in the launch and growth of over 100 businesses, raised over $150 million of venture capital, employed thousands of people and fought through the dot-com crash, 9/11 and the 2008 financial meltdown. His extraordinary business accomplishments led him to be honored twice as the Ernst & Young “Entrepreneur of the Year” and as a President Barack Obama “Champion of Change” Award recipient. Author & Thought Leader. 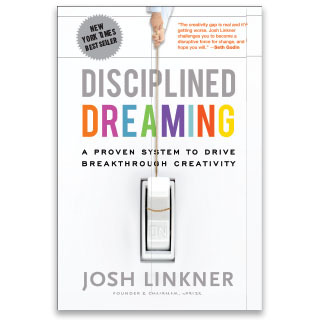 Josh’s first book, Disciplined Dreaming – A Proven System to Drive Breakthrough Creativity was a New York Times bestseller and named one of 2011’s top ten business titles by Amazon.com. It is now available in 13 languages. 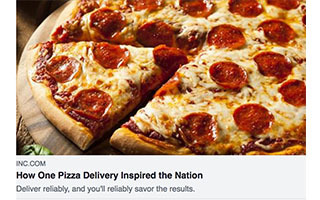 His second book, The Road to Reinvention – How to Drive Disruption and Accelerate Transformation, was also named NY Times Bestseller in its first week on bookshelves and was named the 2014 Best Leadership/Management Book by 800-CEO-READ. 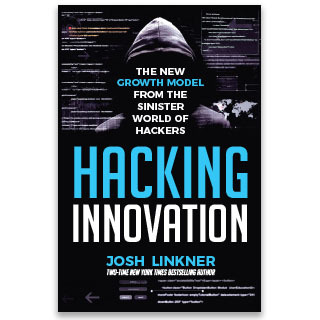 His most recent book, Hacking Innovation: The New Growth Model from the Sinister World of Hackers, is a powerful look into redirecting the techniques of cybercriminals to drive meaningful outcomes in our companies, careers, and communities. He is a regular columnist for Forbes, The Detroit Free Press, and Inc. Magazine. 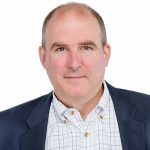 His work has been featured consistently in the media, including The Wall Street Journal, Harvard Business Review, USA Today, and The New York Times. With intense competitive pressures and mind-numbing speed, leaders seek fresh approaches for growth and innovation. As old methods become commoditized, new creative problem-solving techniques are needed more than ever. 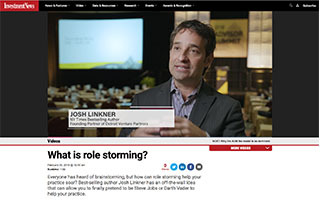 Drawing inspiration from the unlikely world of hackers, New York Times best-selling author and five-time tech entrepreneur, Josh Linkner, has discovered a new and powerful model for leadership and organizational success. The underworld of cybercriminals contains some of the most creative people on the planet, despite their illicit motives. In this thrilling and provocative talk, Linkner takes the audience on a mind-opening journey, showing how hacking techniques can be deployed to drive legitimate business outcomes. 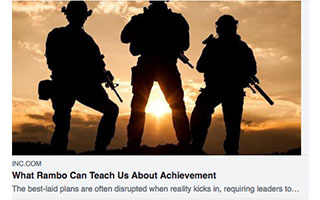 Learning how hackers would solve your most pressing challenges using unorthodox approaches will give you a new framework for creative problem solving, growth and innovation. As a five-time successful tech entrepreneur and investor in dozens of startups, Josh Linkner has seen thousands of companies loaded with creative buzz and big ideas. How is it that some harness their imagination to create game-changing drivers of growth and innovation while others miss the mark? The answer: The best companies have a systematic process to focus their team’s creativity into practical outputs—something Linkner discovered by founding and building companies that sold collectively for over $200 million. 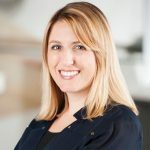 As a professional-level jazz guitarist, Linkner blends the improvisational qualities of a jazz ensemble with bleeding-edge business savvy to bring a completely fresh perspective on unleashing creativity in the organization. His inspiring presentation delivers practical tools that can be used immediately to increase creative output and deliver bottom-line results. With disruptive forces assaulting business from every direction, creativity has been labeled as the single most important business attribute. To succeed, leaders must be focused on creating a resilient culture where everyone is engaged; a torrent of innovative ideas needs to flow from every level of the organization. Top leaders then employ a secret weapon: a systematic approach to selecting and launching the ideas that will best drive growth and innovation. 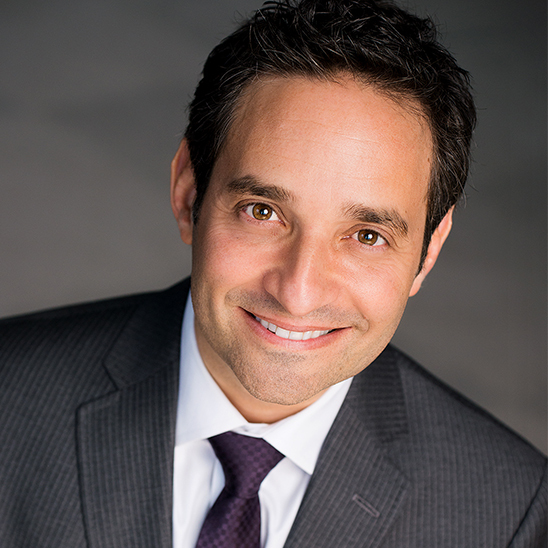 Josh Linkner weighs in with a fresh perspective on this critical leadership challenge. A highly successful serial entrepreneur and now a tech investor, Linkner shows leaders how to employ his simple but effective framework to ramp up the creativity and identify/launch ideas that will break through and defy gravity. Entrepreneurs look at the world differently. We celebrate them for their bold vision and courage—they drive game-changing innovation that creates enormous economic success while making a profound impact on the world. What is it about the entrepreneurial mindset that helps these mavericks seize opportunity that others miss? 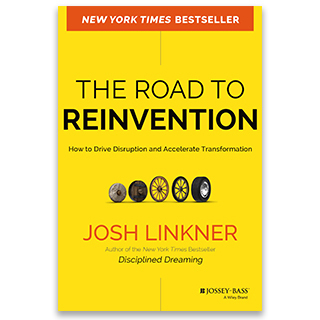 A five-time successful tech entrepreneur, Josh Linkner shows leaders and organizations how to embrace the creativity, grit, and vision of a startup and then channel this approach to drive growth, innovation, efficiency and customer delight. Be prepared to be amazed. Josh Linkner, a jazz guitarist since age 13, credits a musical background for giving him a different way of looking at business. In this stunning interactive presentation, a live jazz performance by Linkner and his band is woven with stimulating dialogue. You’ll actually hear, through their music, fresh ways to unleash your organization’s creative mojo. In jazz, 99% of the notes are improvised and created in real time. Yet it’s the structure of a jazz combo—not the inherent talent of individual musicians—that allows for such breathtaking creative expression. 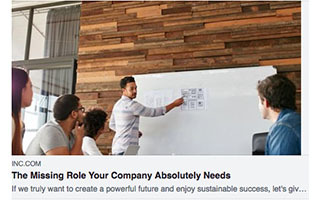 In today’s business landscape of dizzying speed, exponential complexity, and ruthless competition, we can no longer just play the notes on the written page. Detroit’s fight back from the brink is an inspiring tale of resilience told firsthand by Josh Linkner whose grit and passion are playing a critical role in the city’s revitalization. Linkner is a driving force in Detroit’s comeback; among his many honors—“Detroit Executive of the Year,” the region’s “CEO of the Year” and “Michiganian of the Year.” As the CEO of Detroit Venture Partners, he is helping the city he loves rise from the ashes and reconnect to its entrepreneurial and technological roots. 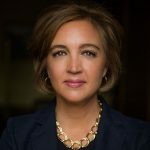 Linkner’s heartfelt talk energizes audiences with the power of possibility. It’s also a cautionary tale of how Detroit, once a birthplace of innovation and a vibrant city, succumbed to the evil forces of protectionism, blame, and bureaucracy. Investment News: What is Role Storming? Come as you are, grab a drink and settle in. 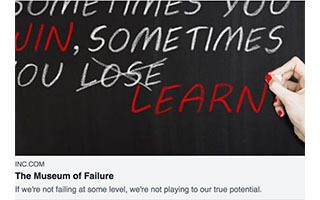 Cocktails and Epic Fails is a new event featuring nine industry #leaders who aren’t shying away from the painful moments that rocked their worlds.